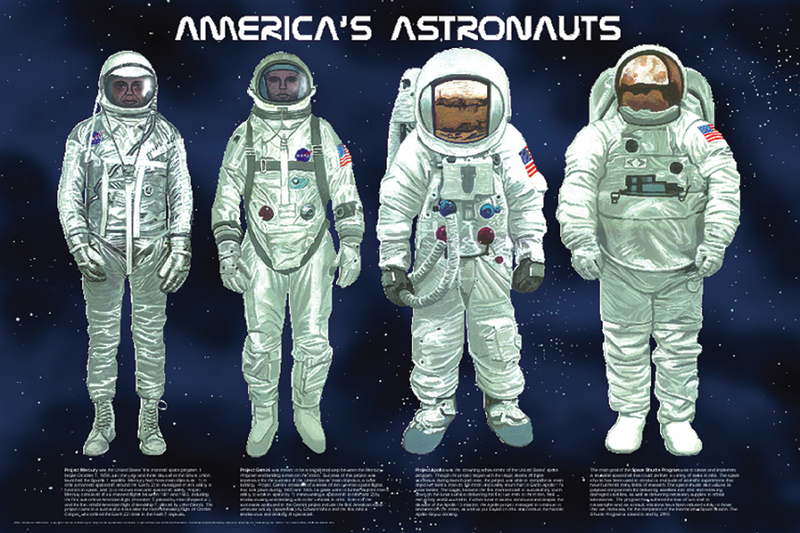 Honors American Astronauts. Shows them in the spacesuits they wore in the Mercury, Gemini, Apollo and Space Shuttle programs. Each program is described.